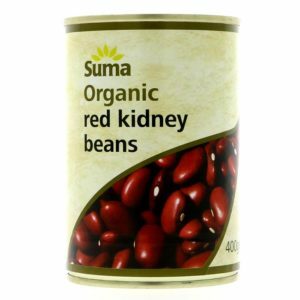 Organic red kidney beans are grown in Italy and are a perfect bean to use in chillis, bologneses and casseroles! They are a rich, savoury flavour which can be used to make beans burgers as well as homemade soup. 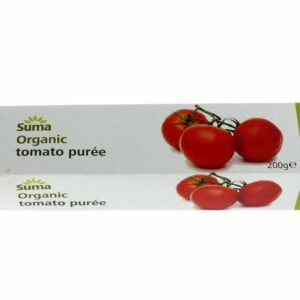 Certified organic and suitable for vegans and vegetarians. Naturally gluten-free. 400g. 240g drained weight. 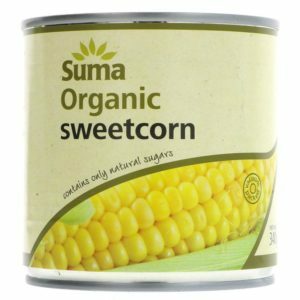 Suma organic sweetcorn is juicy and sweet and perfect in many foods! Mix into salads, use to make vegan 'tuna mayo' or simply eat on its own. It is grown in France so the environmental impact is much lower than the comparative US grown corn. It is certified organic. 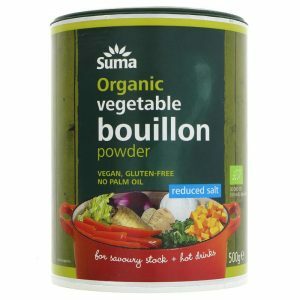 Suitable for vegetarians and vegans and is naturally gluten-free. In a recyclable steel can. 340g. 285g drained weight. 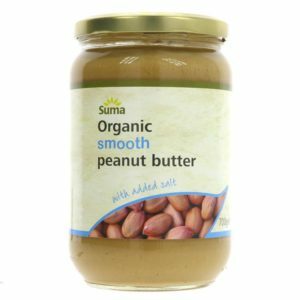 Suma’s organic range is as nature intended. Organic standards aim to avoid the routine use of pesticides and fertilisers. Just organically grown and processed tomatoes. This product is Vegan and is Organic. 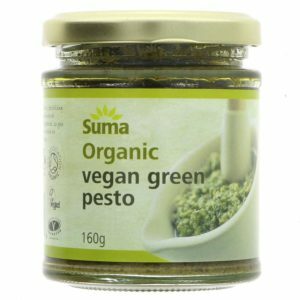 Suma organic dairy free pesto is ready to use. 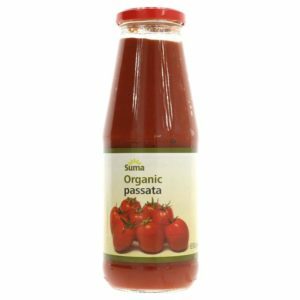 Delicious mixed with hot pasta, served with warmed organic breads or stirred into soups. This product is Gluten-free, is Organic and is Vegan. 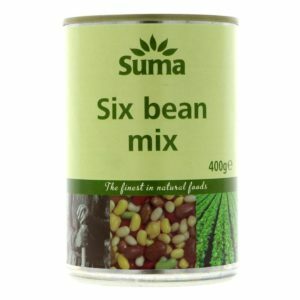 Suma six bean mix is a delicious mix of high protein beans perfect for salads, casseroles or as a side dish. Ready to eat straight from the can or add to other ingredients to make a protein-rich meal such as a chilli or curry. Mix with balsamic vinegar and chopped herbs for a quick, easy and delicious side dish! Also tastes great mixed with an egg free mayonnaise as an addition to a salad and perfect for Buddha bowls! 400g can. 210g drained weight.